When the town veterinarian is murdered, Sheriff Joanna Brady is determined to find out who did it. The obvious suspect is a man whose wife was killed in a DUI accident that had occurred several years before. Bucky, the veterinarian, had been the one driving the vehicle that hit Hal’s wife. Joanna is still mourning the death of her husband and struggling to raise her daughter. She is a likeable character with grit and a vulnerability that draws the reader right to her. 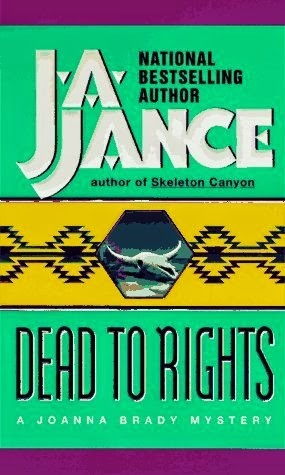 I found Dead to Rights an enjoyable read, but I’ve read better. I still prefer Ms. Jance’s J.P. Beaumont series. Sheriff Joanna Brady has her hands full when the daughter of a wealthy resident of Cochise County is murdered. As the investigation unfolds, she uncovers truths that have been kept hidden: forbidden love, murder, racism, and smuggling. Skeleton Canyon was a fast paced mystery novel that I didn’t want to put down. Sheriff Brady continues to define her position as sheriff both for herself and her constituents. She definitely doesn’t fit the typical image of a sheriff. The Sheriff Joanna Brady series just keeps getting better! 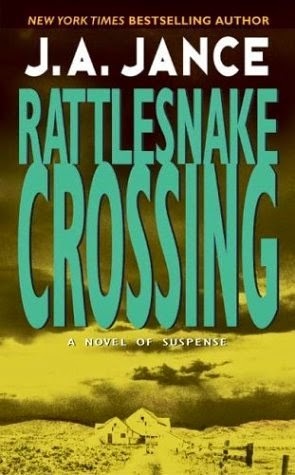 Rattlesnake Crossing is suspenseful and at times intense. J.A. Jance has a way of bringing the setting to life as well as her characters who are always a joy to spend time with. This time Sheriff Brady has a serial killer on her hands and she must find out who the killer is and stop this person before anyone else dies. On the personal stage, Joanna’s best friend’s daughter is undergoing an organ transplant and the situation between Joanna and her friend Butch heat up. J.A. Jance’s character, Sheriff Joanna Brady, can’t seem to get a break. She constantly has to put her personal life on hold while she fights crime. In Outlaw Mountain, Sheriff Brady must contend with a conflict between a land developer and environmental protests that isn’t quite what it seems on the surface. She and her investigators are also trying to uncover the killer of an elderly woman whose children would benefit from her death and a younger boyfriend who takes off as soon as he learns about her death. And then there is the developmentally disabled man Joanna and friends take in during their search for his family who appear to have abandoned him. Although I enjoyed Outlaw Mountain, I came away from the book feeling a little disappointed in the wrap up of the various story lines. J.A. Jance did a good job of conveying just how hectic life is for Sheriff Brady, and it almost feels as if her character is headed for a breakdown—or at least a bit of a fall-- if she keeps up at the pace she is going. I am curious to know how that will play out in future books in the future. 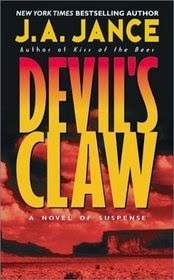 With her wedding a week away, a missing teenager, the murder of the teenager’s mother, a diskette that could hold the answers to the murder as well as the murder of the girl’s father years before, and a bereaved daughter who targets Joanna with her wrath, Sheriff Joanna Brady has her hands full yet again in the mystery novel, Devil’s Claw. J.A. Jance’s mysteries are always good for a quick read, although I had so much else going on this past week that I hardly had a chance to sit down and read—at least not as much as I wanted to. J.A. Jance continues to write about characters that are hard not to like. Joanna has a big heart and it comes through in every page. In another quick paced mystery, J.A. Jance does it again. Her cast of characters warms the heart and brings the novel to life. I enjoyed traveling around Cochise County with Sheriff Joanna Brady as she tries to uncover the identity of one and maybe two vicious murderers. The first victim is a woman who is brutally raped and murdered. Her husband is at the top of the suspect list because he seems to have disappeared with all of her money. The second victim is a pregnant thirteen-year-old girl whose death touches close to home for Joanna, her mother and her daughter, Jenny in more ways than one. 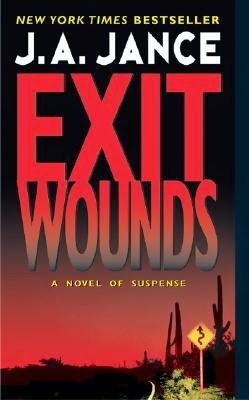 Exit Wounds is the 11th book in the Sheriff Joanna Brady series set in Cochise County, Arizona. Sheriff Brady not only is knee deep in a murder investigation but she also has to play the game of politics as the next election approaches. Exit Wounds was by far the best book in the Sheriff Joanna Brady series that I’ve read to date. The author’s portrayal of the stress and time pressures that Joanna face jumps out of the pages and feels so real. I have no doubt that no matter how bad things may appear in the moment, Joanna will win out in the end because her good heart and hard work will shine above all else. I used to read this series and liked it a lot. I think I've probably read all these books, but won't take time to go back through my journals and see. I can't remember why I stopped reading about Joanna Brady. I don't remember anything specific like with Patricia Cornwell's series. I'll have to see how far I got. Do you still keep up with it? Kay - I stopped reading only because I got too distracted by other books. I have a few more on my shelves still to read. One of these days I'll get myself caught up. I love reading these reviews on your blog because a lot of the mystery/thriller series books were on my wishlist years ago and then I never really read any of them. I would like to give these books a try! Athira - Newer books tend to win out over the older ones, especially series that have so many books. I want to get back to this series and her J.P. Beaumont series someday. Wendy, do you still read these? I'm just wondering as last year I read the most recent release in this series and really enjoyed it. I'm thinking that I need to get the first book from the library and continue on asap. Thanks for sharing!!! Samantha - It's been ages since I last read one of her books. I think a couple years ago I read a short story in one of her other series. I keep meaning to dive back into the series, but other books always get in the way. It's that way for me with a lot of my old favorite series. I haven't read this series but sounds like a good one to check out. 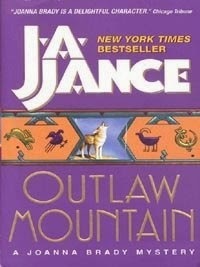 I have read a Jance book but it was from another of her series. Actually it was an audiobook and I really enjoyed it. Iliana - It is a good one. I really like Joanna Brady. She wasn't a law enforcement type going in, but she really stepped up to the plate. I have heard of J.A. 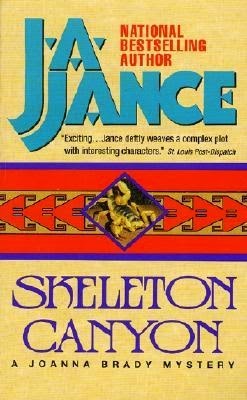 Jance but I don't think I've read any. It sounds like you enjoued the series! Naida - I really enjoy her books. 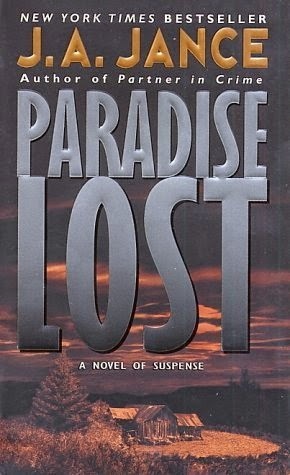 I need to get back to this and the J.P. Beaumont series. I've read several, but not all in this series. I need to put Jance back on my library list and see what they have to offer. I loved this series but it's been ages since I've read it and I know I'm terribly behind. I'm not sure if I ever read Exit Wounds. I'll have to revisit this one. Thanks for sharing! Katherine - Same here. :-( I have so many series going . . . It's no surprise I'm always behind.